February 14, 2015 by Susan G.
Wishing all Kindred Spirits a Happy Valentine’s Day! May all beings feel the deepest, profound love that permeates all of life, all dimensions! This love is within each and every one of us. It is not getting love from food, treats, distractions, etc. It is giving and receiving love from the deepest truth of who we really are. This love radiates from our hearts in every moment. Love is the bridge between all of us, between the form and the formless, between all hearts. Love is a key to the trans-species field theory and global coherence. It is our old programmings, thoughts, and belief systems that prevent us from realizing this. From this deep love, I wish you all the love that the kindred spirits project wishes to radiate out to all our wonderful followers! May you all find beautiful, heart-felt connections this Valentine’s Day, and every day! Enjoy this video of a wonderful, loving couple and their horses, playing in their arena at home. You might recognize the pair…Magali Delgado and Frédéric Pignon. From the publisher of The Compassionate Equestrian, Trafalgar Square/Horse and Rider Books, you can read much more about their extraordinary lives and learn about their Six Golden Principles for training horses, which developed through their work with one particularly difficult stallion. Born to horse-loving parents in the south of France, both Magali Delgado and Frédéric Pignon developed quite radical ideas about the treatment of horses, and when they eventually met and married, it was as if they had been made for one another. 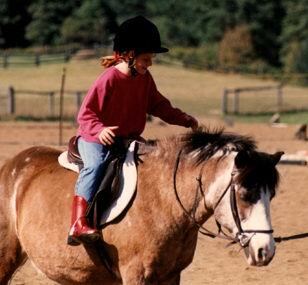 Horses became their passion and their family. 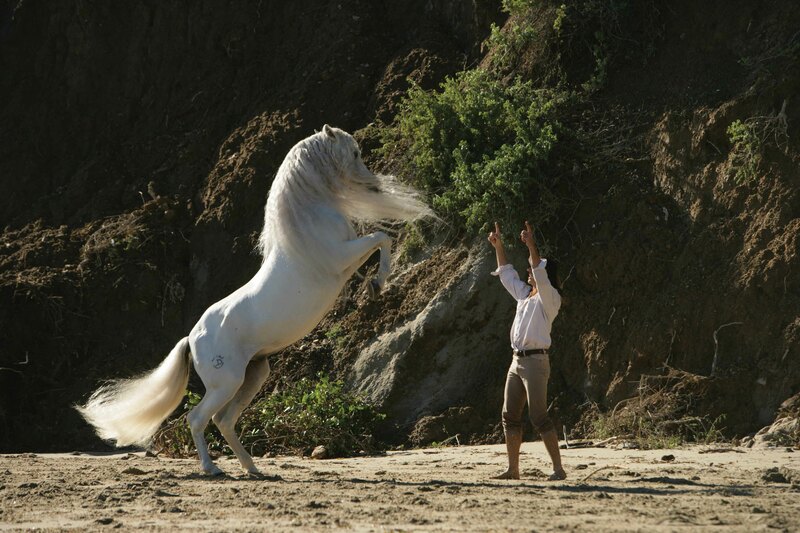 Magali and Frédéric were the founding stars of the original version of the hit “equine spectacular” Cavalia. With their troupe of astounding horses, they toured the United States and European capitals from 2003 to 2009, playing to more than two million spectators.